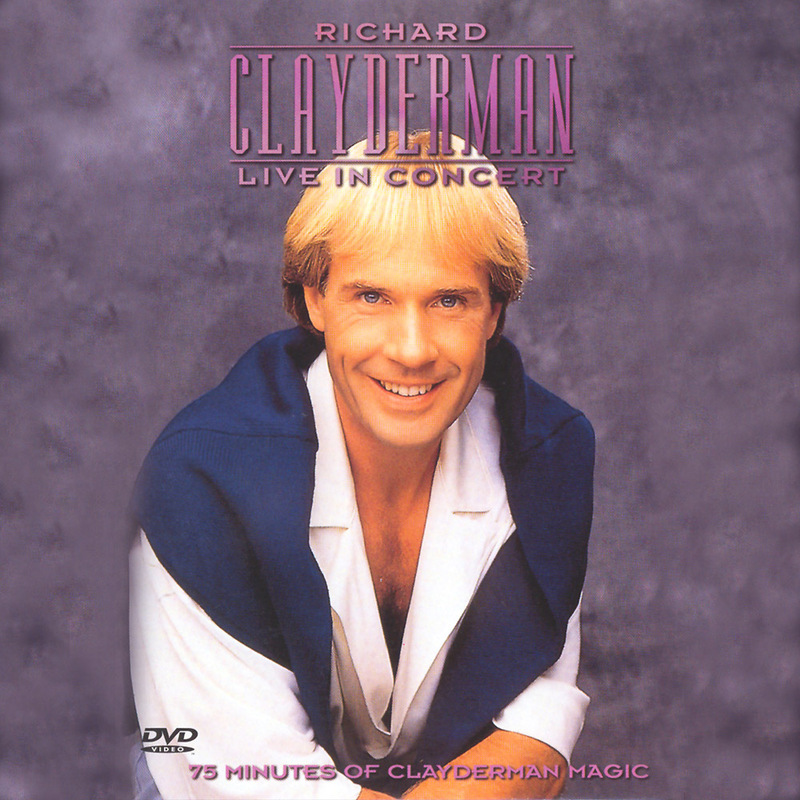 ‘Live In Concert‘ is a Video / DVD release featuring a special concert of Richard Clayderman at the Mayflower Theatre, Southampton, England. Originally recorded in 1990, various versions of the concert have been released, with the cover above taken from the 1999 American version. The DVD includes special location footage filmed in St. Tropez, Paris. Richard Clayderman is accompanied by an orchestra of 12 musicians, conducted by Regis Duprè. Please be aware that track listings may vary. ‘West Side Story Medley’, ‘Alway’s There / I Know Him So Well’ and ‘Vierge’. An evening with Richard Clayderman is a very special event, and this seventy-five minute programme captures the unique brand of magic that the French pianist has made his own. Spectacular concert footage from his 1990 British tour is intercut with location sequences featuring Richard Clayderman in St. Tropez and Paris, as well as an exclusive interview filmed at home. Richard Clayderman is one of the world’s most successful performers – find out why in this celebration of his unique talents. *The location sequences of Richard Clayderman in St. Tropez, Paris and at home feature the original studio recordings.